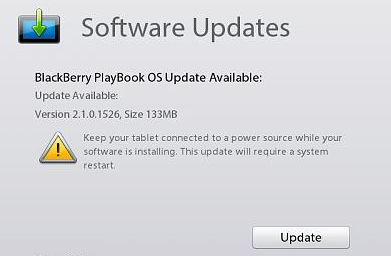 BlackBerry has released their latest update for the Playbook. We are now on version v2.1.0.1526 which is roughly 133Mb in size to download. Whats inside the Playbook update v2.1.0.1526 ? Note: this update is for the W-Fi only Playbook only. Whilst its not the BlackBerry 10 update just yet, I am glad to see that BlackBerry is still carrying on in their support of their loyal Playbook fans. I am sure that BB10 is still some time away as BlackBerry is focusing on their handsets but its in the pipeline somewhere – hang in there my fellow Playbook users !